Snow days are always fun for about the first half of the day. Maybe you get up and make some pancakes or some hot chocolate or something because it’s cold out and a nice, warm breakfast is a special treat (at least it is around here!). You bundle the kids up and head out to play in the snow and they’re so stinking adorable with their huge puffy jackets and their hats with animals on them and stuff. If you have a dog, he may run around in it like a maniac. Then everyone gets cold and tired and comes inside. The day is still relatively early but no one’s having any more of this cold, wintry nonsense. If you’re like me, you don’t want them spending the entire rest of the day on electronics, but also they’re touching all your stuff and arguing with each other and generally everyone is making us a little crazy. It is at this point that a game can get you through. We have a few favorites, and usually we can all settle in (with more hot chocolate!) and play a good round of cards or a board game until it’s reasonable to let everyone have some screen time or a nap. 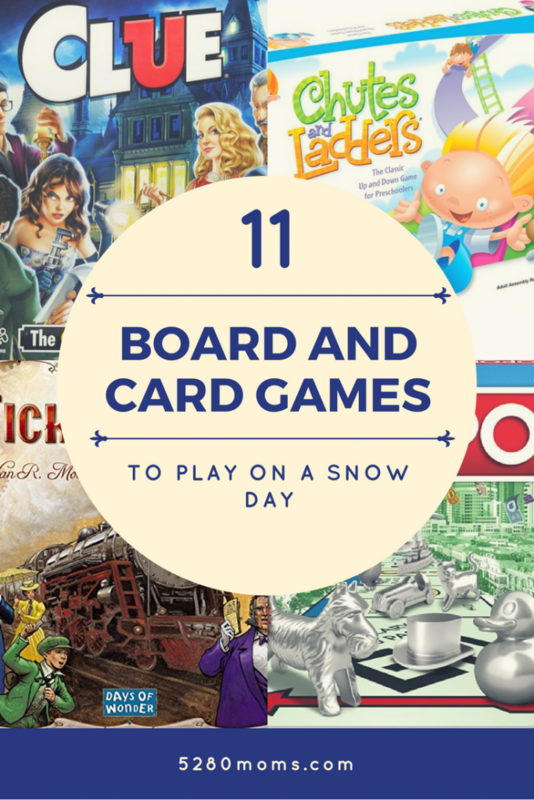 Here are our tried-and-true favorites for snow days (or family game night…or any day, really). The box says it’s for kids 7 and up, but I think any kid learning their numbers and colors can play. With younger children, you may want to do a few practice rounds where everyone shows their cards, just until they get the hang of it. We have a pack of UNO cards that stay in the car so we can play on ski trips, camping trips, visits to friends, or wherever we go. You never know when you might need an emergency pack of UNO cards. Another one where kids are practicing math skills without realizing it! 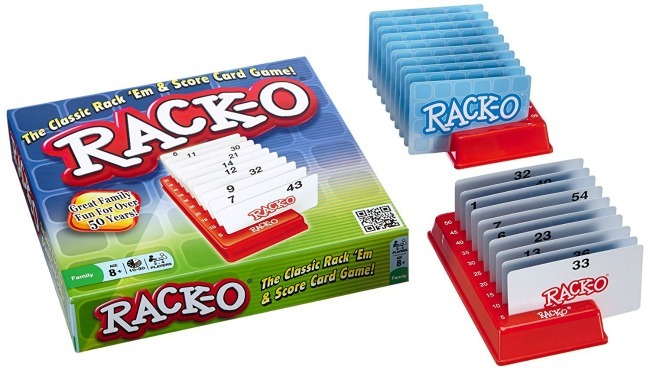 In Rack-O, you’re trying to get your cards organized in numerical order…but it’s trickier than it sounds. Any child who can recognize numbers can play this, so I’d say it’s good for older preschoolers through elementary school. We’ve played all these games with children first grade through high school. The first grader does sometimes need to team up with an older player…but then again, sometimes she gets pretty cutthroat and beats us all. I’d describe this as a mix between Scrabble and gin rummy (the card game) – you get tiles and need to put them down in straights or sets of three. This is an easy one for younger kids to team with an adult to play against older children. We always start out mild, but by the end there’s a lot of taunting and trash-talkin’ going on at the table (especially when my mom plays). 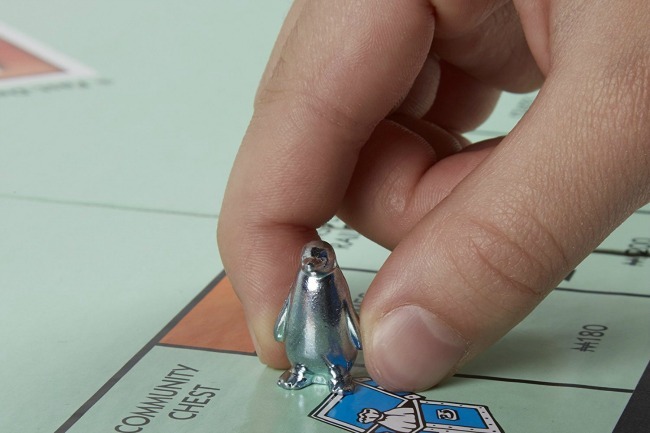 I no longer have the patience for an entire game of Monopoly. But for some reason, my kids do (and I remember loving it when I was their age). Maybe it’s because we get to deal in $500 bills? Either way, they have a great time getting this out and playing together. 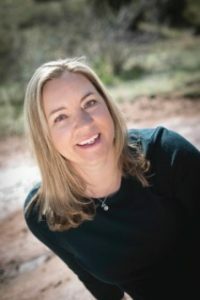 I like a thrilling mystery, and so do my kids. This is a good one, though I’d say it’s for older elementary schoolers and up. It’s a little complicated, and players need to be able to keep track of the various clues they discover. This is our current favorite family game! It’s about trains. It has little trains as pieces you play with…and lots of different colored trains. 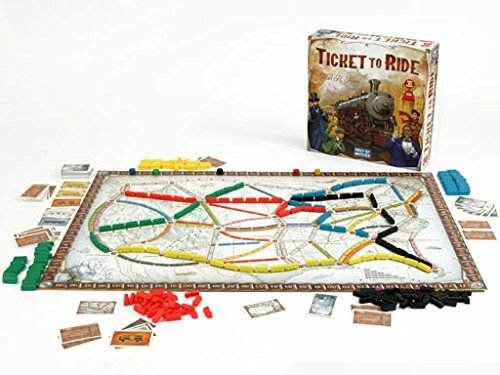 And you can play straight – just trying to lay your train track from destination to destination – or you can play sneaky and try to block other players from completing their routes. It all depends on how diabolical you want to get with your loved ones. Also, at the end, we make the winner do “The Locomotion” dance…just a suggestion. If you’re not familiar with mancala, versions of this game have been played for hundreds of years around the world, using stones or sticks and rows of holes or pits in the earth. 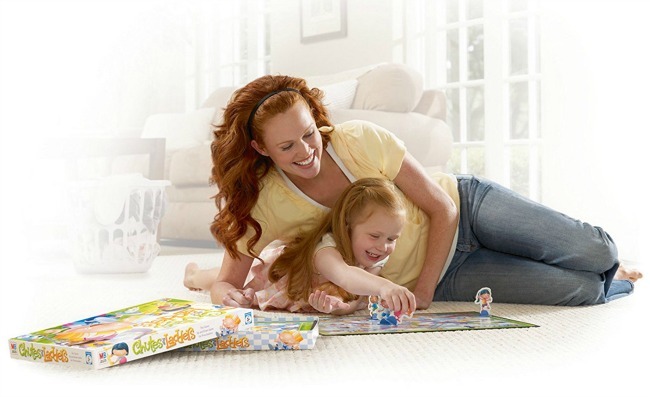 We grew up playing it, and my kids love it, too. It’s easy to get the hang of, younger children can practice their counting skills, and the wooden board and colorful stones look nice on display even when you’re not playing the game. Keep an eye on the stones – we’ve lost several and had to replace them with glass beads from Michael’s. And definitely not for kids 3 and under because of the choking hazard. But a simple, fun game to play with everyone else. Our winter break this year was dominated by sick children (and a few ill adults as well!). We didn’t get out as much as I would have liked, but we DID play a whole lot of card games with whichever kids were well enough to get out of bed. I didn’t list any of the standards, because I’m guessing most people know how to play those…these are two of our favorites that are a little less well-known. Both games require just your standard deck of cards. All players pick up their piles of four. 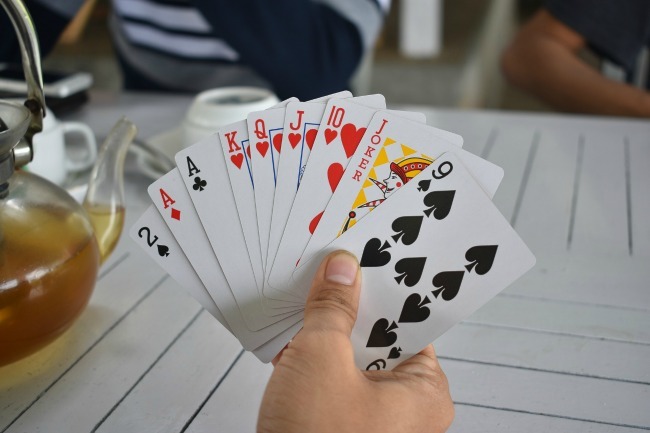 Your goal is to get all four of the same number cards in each of your piles of four – so you change out cards by picking them up from the middle of the table and discarding the ones in your hand. As you get piles of four with the same number, lay them on the table face-up. The first player to lay all their piles on the table yells “James Bond!” and is the winner of the game. Each player is dealt seven cards. The rest of the deck is placed face-down in the middle of the table. Then the dealer puts one card face-up on each side of the deck, one above, and one below the deck (so – four face-up cards). you have a king. Each of the king cards go in the corners between the face-up piles and players can lay cards on the kings in descending order and opposite colors as well. If one of the face-up cards (or an entire pile of face-up cards) can be laid on top of another face-up card, a player can do that and put any card they choose in the blank spot. If you can’t lay down any cards, you must draw from the deck. The first player to get rid of all their cards wins. You can find a more detailed description of the rules here. What’s your favorite game for a snowy or rainy day?